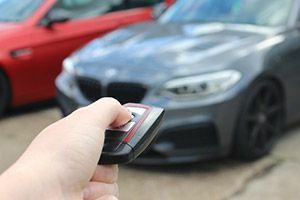 With the value of many BMW’s now increasing and the more luxurious ranges being released, vehicles are easily becoming the new target for criminals. We understand that the safety and security of your vehicle is paramount to keeping it secure and in your possession. We have a number of security upgrades for various makes and models to ensure that you have peace of mind when leaving your vehicle. We highly recommend considering taking extra precautions to safeguard your vehicle and also it is good to note that many insurance companies will reward you for doing so. For tracker systems we offer Category 6 tracker which is required for certain insurance companies and allows you to track your car at any time from your smartphone app. We also offer Category 5 tracker which is sometimes mandatory for insurance on certain high value cars. For category 5 it has the same benefits as the category 6 tracker system with the additional feature of a sensor which the driver must have on their person. The tracker then alerts to the security company when the car is moved without the sensor inside the vehicle. We also offer a modern solution in the attempt to prevent car theft - our ‘ghost’ immobiliser. This select method of security will not allow engine start without a chosen combination of interior dash/steering wheel buttons being pressed in the correct pre-specified order. To find out further information on these systems, or to book in for fitting, call us today on 0208 598 9115.